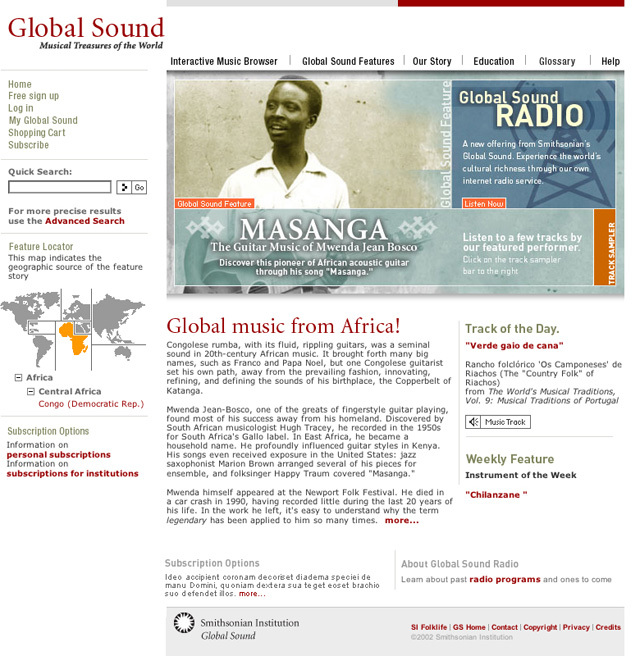 The Smithsonian Global Sound group needed a website that acted as a comprehensive repository for the Global Sound project. 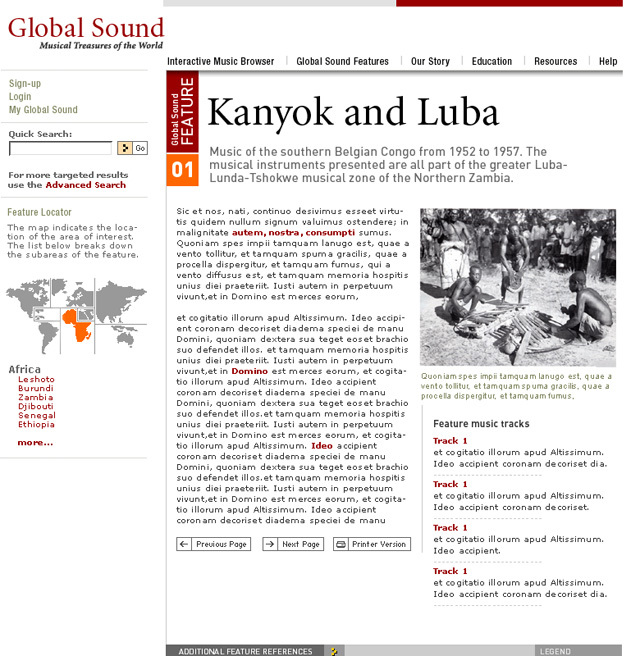 The content of the site needed to be cataloged and accessed in many different ways, ranging from geographical area of interest, to type of musical instrument and world culture. 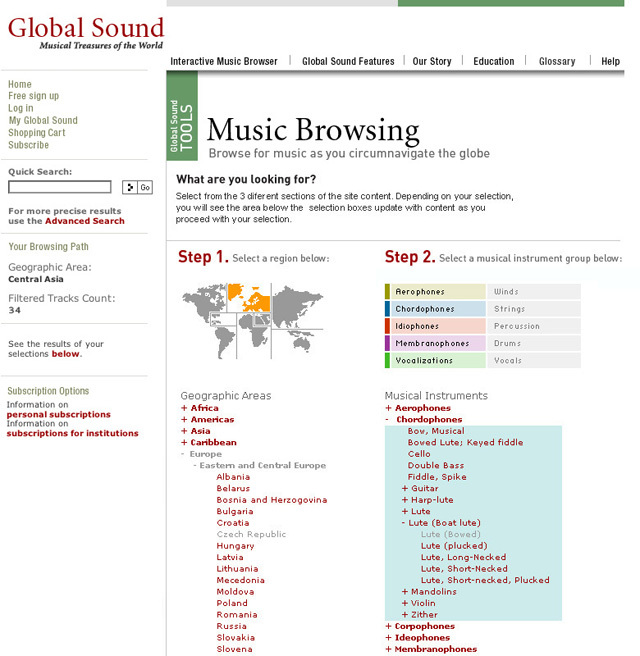 The site contained an e-commerce engine as well allowing the purchase of individual tracks or entire albums.